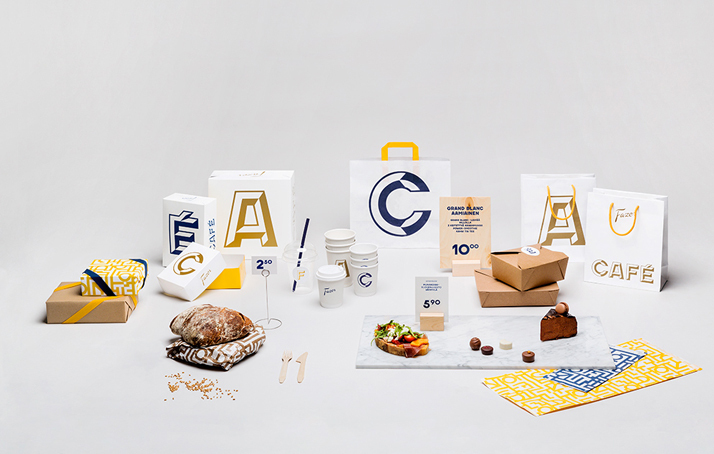 By Helsinki-based creative studio Kokoro & Moi. 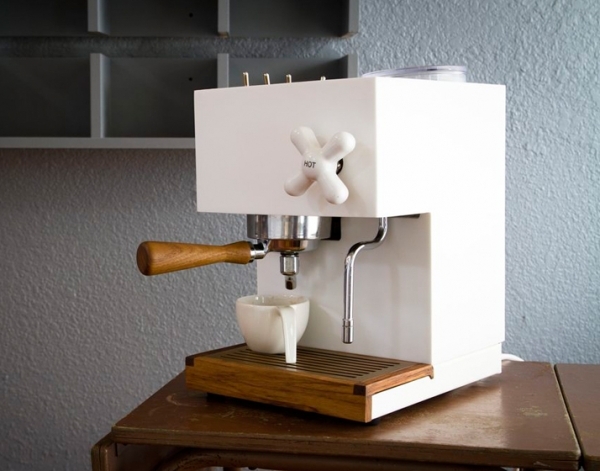 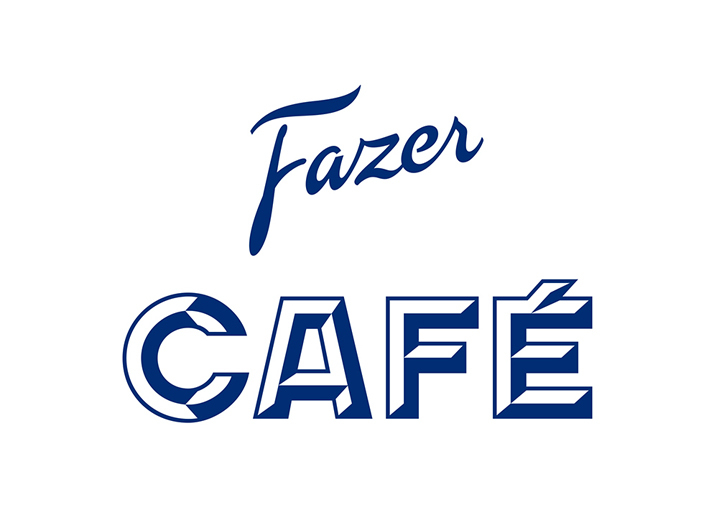 Karl and Berta Fazer inspired an entire city by establishing the first Fazer Café in 1891, in Kluuvikatu, Helsinki. 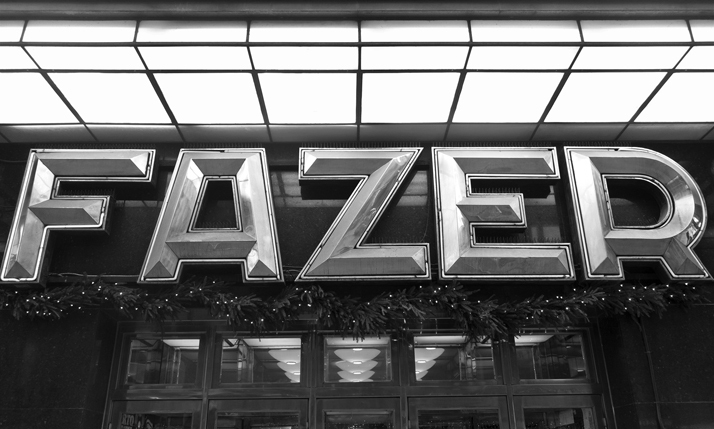 Ever since, the Fazer Café has remained a step ahead, surprising patrons with its ideas, tastes and combinations of both, to the great pleasure of the city's inhabitants. 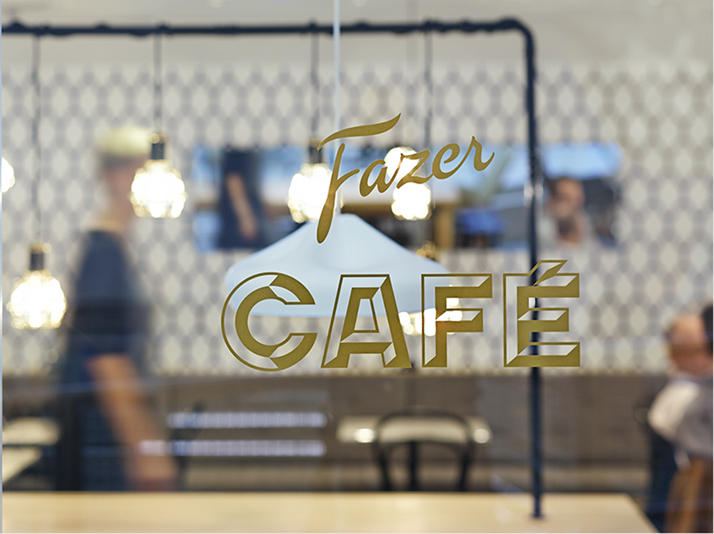 The new Fazer Cafés continue the story and work with the right balance of elegance and leisure—the rough and timeless taste of life itself. 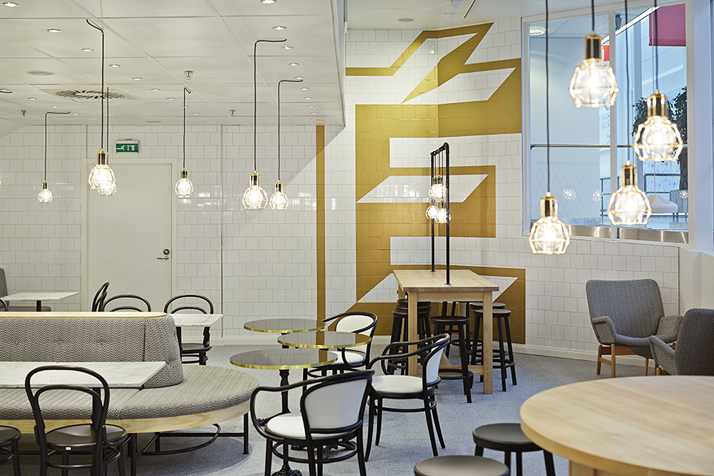 The first batch of new Fazer Cafés was opened in the summer 2013 in Munkkivuori, Helsinki and in the Stockmann department store in Tampere. 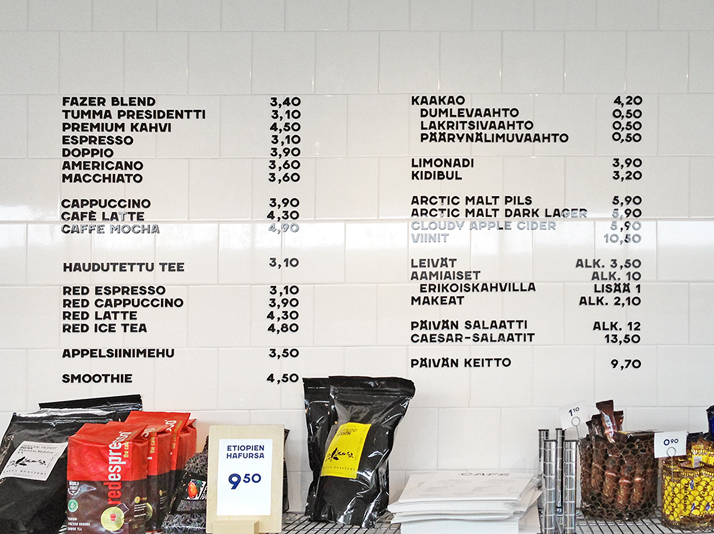 These cafes were followed by two more in Helsinki in the fall, and there are multiple new Fazer Cafés in the pipeline. 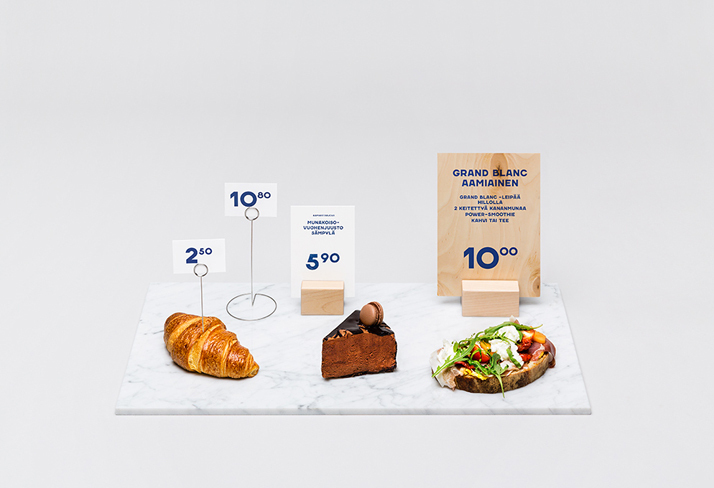 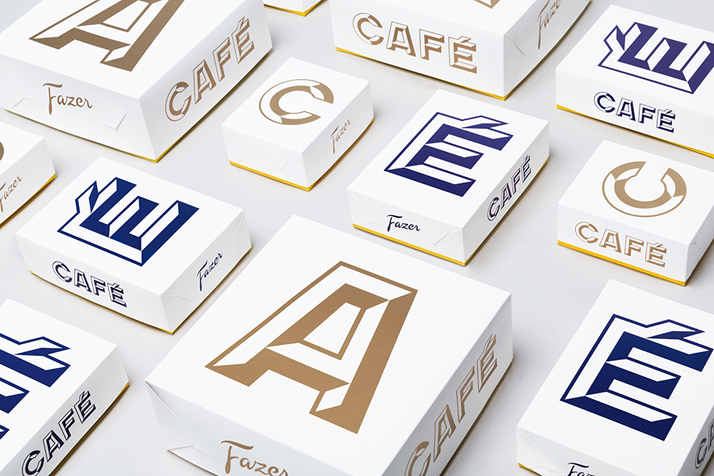 Kokoro & Moi is responsible for the brand identity for the new Fazer Cafés. 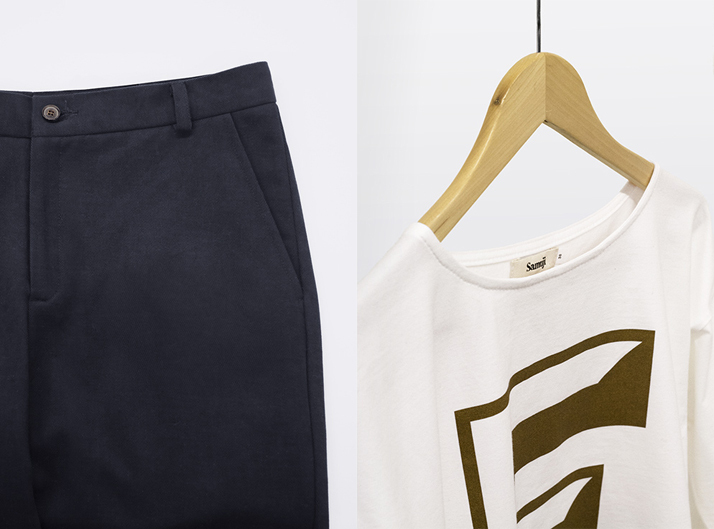 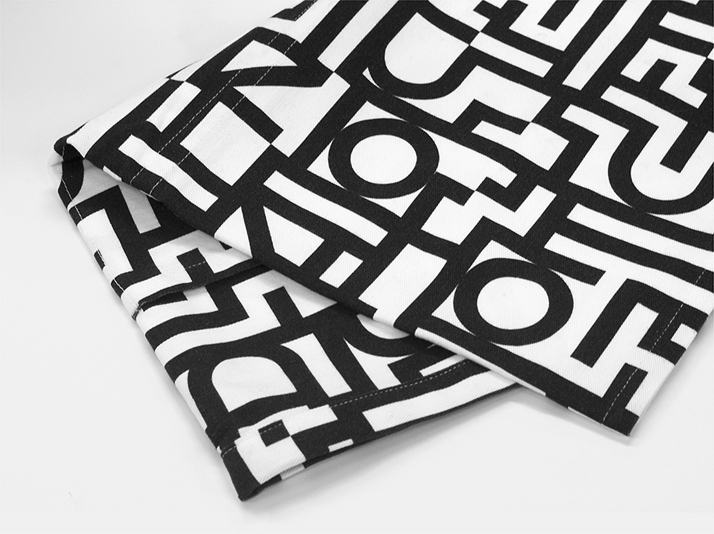 The work spans the brand’s story to tone-of-voice, visual identity and communication concepts both online and offline. 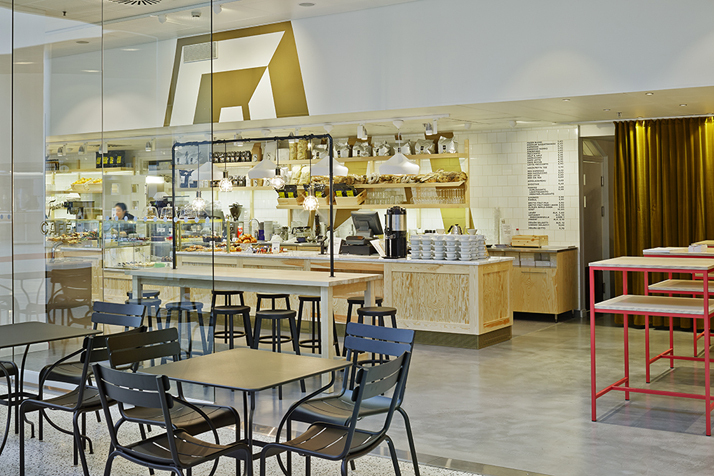 Spatial design for the café is developed in collaboration with the interior architecture office Koko3. 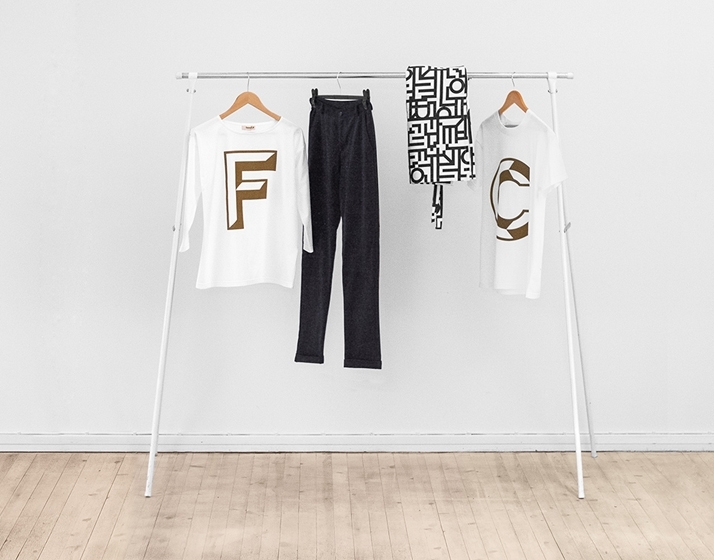 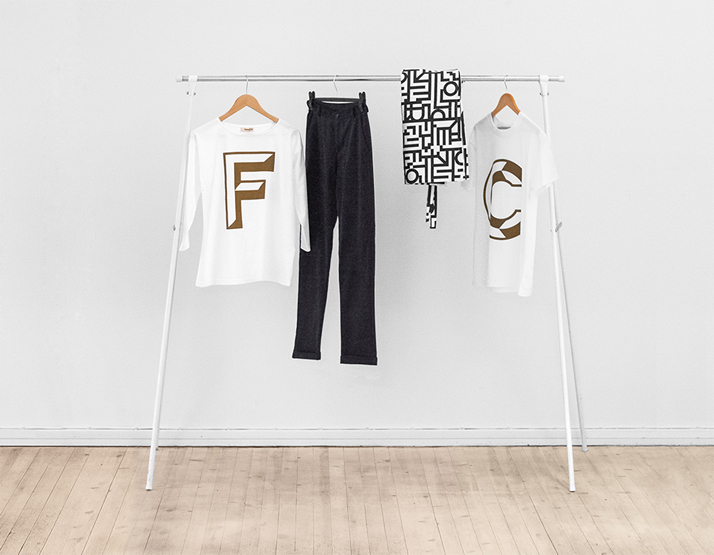 The visual identity is built on the custom-made typefaces, Fazer Grotesk and Fazer Chisel, which have taken their forms from the classic ‘FAZER’ sign at the renowned Kluuvikatu location. 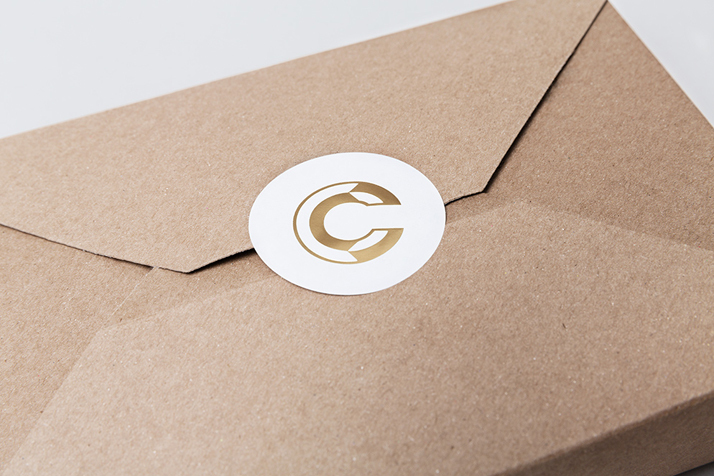 The typefaces are used comprehensively for all the visual communication and marketing materials. 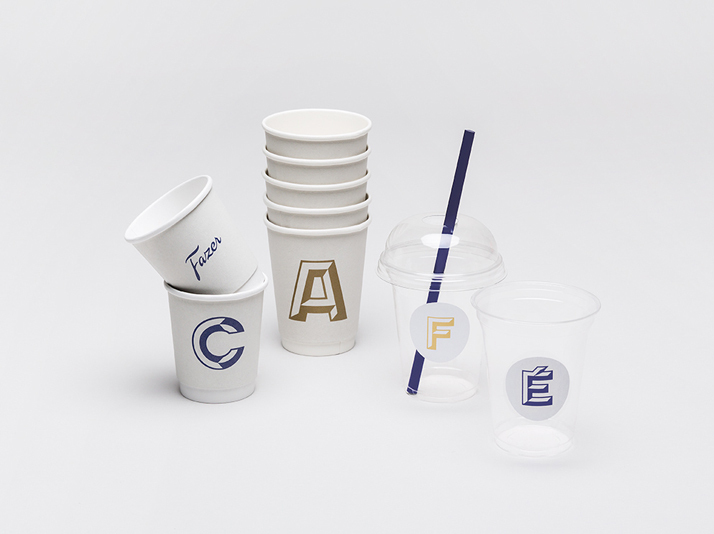 They are utilized everywhere from the logo to the menu boards and price tags and with single characters that take over the packaging materials, clothing and the decor of the walls. 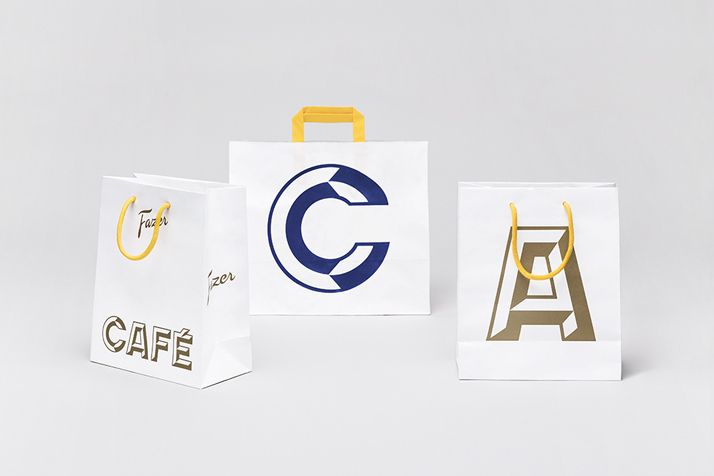 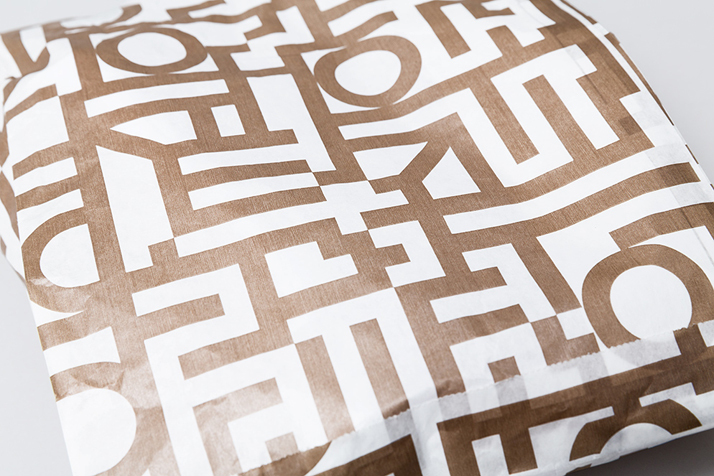 Other custom-made graphic elements utilised in the identity, in addition to the typeface, are various patterns that Kokoro & Moi designed to be used in wallpaper, napkins, take-away packaging, and staff accessories among others.